RiX belongs to the core unit of the organisation and is also the Co-Founder of Brutality. He is one of the most consistent players in the lineup who believes and obeys the saying ‘practise makes perfect’, religiously. 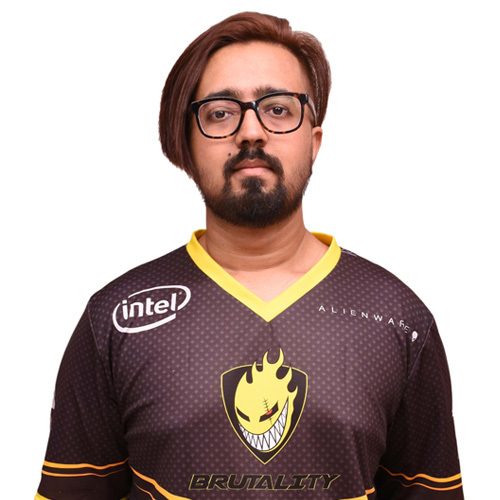 With an experience of almost 10 years of Counter-Strike, he is constantly evolving as a player by bringing in that experience which he has earned with all the hard work. A few would say he doesn’t talk much but everyone knows what happens when he pulls the trigger of his big green AWP.